I edited this to add yet another version with the sentiment in the same place as the 1st one. And just in case you're thinking it, don't feel badly...my daughter thinks the starbursts look too much like flowers to be a "guy's" card...I just think they look graphic...it's all good:)!!!! I masked and stamped this stamp from A Muse(Bursting Blooms) in real red and stazon black, clear embossing both times. 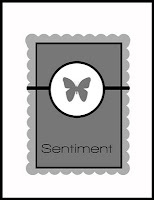 Added sentiment from Papertrey Ink(Daily Designs Sentiments). I ran the blooms and card through the Big Shot with Papertrey Ink Texture Plate(Linen/Canvas)...it just HAD to have some texture...lol...and popped it up! Added two rhinestones...but if giving to a guy(I'm sending this to my daughter to possibly give to her hubby)...could take them off and it would look just fine without...I just LOVE the sparkle! I had taken some random stamps out of my drawers and could not remove them from my desk until I made something with them. This was one in the "pile". YEAH! !...it's been a whole year of Less is More challenges!! I found this WONDERFUL challenge at week 14...and have been HOOKED ever since!! I am grateful to Mandie and Chrissie for beginning this blog...love these ladies for their artistry, GREAT challenges, encouraging words and that they have kept us, as participants on the straight and narrow of being clean and simple in our card making... Simply Less is More MEANS just what it says!! Not always an easy part of their roles at times, I'm sure, but I so appreciate it!!! I have met and come to know some really amazing ladies and artists through this blog, so grateful for the friendships I have made!! If you're reading this and haven't yet, come join the fun!! I had put my tin of Prismacolor pencils away last night...then decided to take them right back out this morning. I purchased my pencils a couple years ago, rather than invest in Copics(I don't have even one)...and used them with stumps and baby oil...pretty enough as I don't really do a lot of coloring. After taking the Clean and Simple Card Making class, my prismas have taken on new meaning ...I am LOVING coloring with them...just coloring...no baby oil...no stumps...just coloring. They are such amazing pencils with such rich color and wonderful quality...well...I'm having a little too much fun!! After today's card...I will try to quiet my enthusiasm a bit and scatter my coloring to the occasional card, but for today...a little joy!! 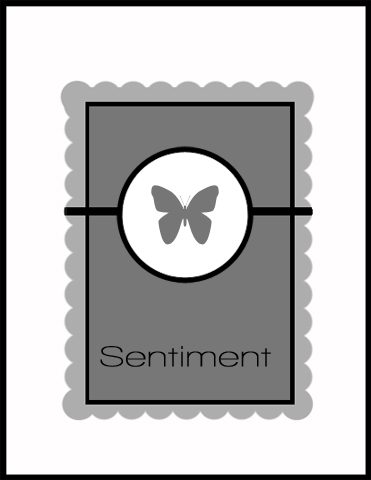 Have you ever made a card with the word "happy"..."peace"... or a word in your sentiment that emits or evokes a "feeling? I stamped my flowers then found a sentiment that I thought fit my space perfectly...and wondered...what colors should I color my flowers...what is the color of "joy"? .I googled - "the color of joy" to find this site...pretty interesting..colors of joy can be orange and/or yellow...so that's how I chose the colors for my flowers. The rhinestones were an afterthought, but I thnk it looked just as nice without them. Flowers and sentiment are Hero Arts. Used my Papertrey Ink Linen/Canvas texture impression plate to give the card some texture...oh, loving THAT a bit too much, too:)!!!! Added yellow rhinestones as my pop of color. This second one was a result of using yellow paper on the inside of another of these cards...so I decided to try coloring on a so saffron card. Used white and light green pencils and a sentiment from Paper Smooches. Papertrey texture plate, too! The third one, below, I cut out the top 3 flowers after coloring...for these I used Stampin Up markers for coloring... and popped them up on card. Added Paper Smooches sentiment and colored with marker, as well. This next kraft colored card I used Chocolate chip ink and colored with pencils. Dotted with Enamel Accents, and hand drew my lines with chocolate chip marker. Sentiment Paper Smooches, texture plate, again! The next one I colored with Stampin Up markers, again, and cut out the top three. Rather than framing with lines, I just left is plain and added a little "fancier" sentiment. This next one was actually the very first one I made. I colored and cut out all 4 flowers after coloring with Stampin Up markers(Barely Banana, Apricot Appeal) and added a Hero Arts sentiment. Added stick on dots in the middles. I know it's alot...and I didn't get into alot of details. I only will say, I took a picture of how I learned to line up your card to draw lines. I have had a gridded cutting board for a while, but never used it except for cutting out an occasional flower with my exacto knife....no more. I will be using this board to line up my work for more precise and accurate work!! It's nothing fancy...but it does the trick!! The stamps are Hero Arts...the background Flower Dot Pattern, the sentiment Truly Appreciated. 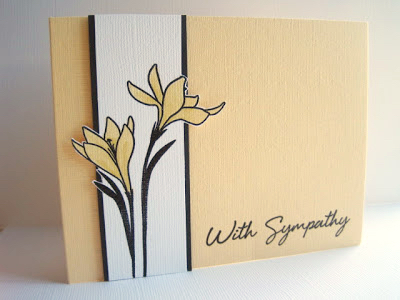 Super simple...used Papertrey Ink flower die and sentiment(Happy Trails). Die cut out each flower, hand drew lines and dots with ruler...added polka dotted embossed paper behind each die cut and added stick on dot...rhinestones dotted on line of each color. Popped up on white card...the colors made me happy on this dreary day:!! Well...I went from 3 layers, to 2 layers and this card is a one layer using my little ladybug stamp. Sometimes just a little texture and just the right sentiment can be enough to "pull off" a little image. Love how this sentiment curved just the same way as the grass...and ladybugs make plants "well" by eating the aphids...I know...too deep and too much thought...but that's how I roll:)!! Sorry...the lighting not the best...it has been a rainy, dreary day...but I think it shows ok. The sentiment is Hero Arts...used my Martha Stewart scoreboard and scored 1/4" from each side's end. Colored with real red and old olive. Three down...three to go:)!! Wanted to make it simple...punched a bunch of flowers with EK Success flower punch and glued about 4 or 5 on top of one another to give the flowers dimension. Dotted with stick on dot and added Happy birthday from Hero Arts. Rounded corners. I lined the card with Bermuda Bay...THERE'S my color:)!! This time, I stamped on larger space, but gave the whole image a 3-D look(dimension is great for CAS:)!!) by stamping again on red, and cutting out ladybug and popping her up... and then taking my exacto knife and cutting around the leaves(added some pop up pieces behind each leaf, so they would stay popped out). Added a sentiment from Hero Arts and popped up on white card. I bought this little ladybug stamp at AC Moore's the other day....very intrigued by it. I have numbered this post, as it is my mission to find 6 different ways to use this little lady...so there will be 5 after this..in time:)!! This was the very simplest...colored with markers and blender pen(although the image is so small it doesn't show too well). Layered on black and old olive with a Papertrey impression plate. The ladybug is Rubbersoul and the sentiment is Hero Arts. The card is 4 1/4" square. Ok..are you thinking the same thing I am...up front I will say not sure how clean and simple I think this is...but I am loving these colors together....and the flowers...all THREE of them. I planned on sticking to the sketch, but the flowers just seemed to "fit"...and be "needed"...lol!! Used nestie for the scalloped rectangle and 2 nesties for the circles. Used a My Favorite Things flowers and leaves dies...sentiment and background Hero Arts. Just a quick post, today. Made this card for One Layer Wednesday...to make a one layer card for a guy's birthday. Got my idea from the latest PaperCrafts magazine entitled Cool Tools....page 140 Blue Without You by Susan Opel. I loved her 4 blue hued squares. I changed it a bit, and made it 3 squares, one layer, different sentiment...and ...minus the ribbons, too:)!! 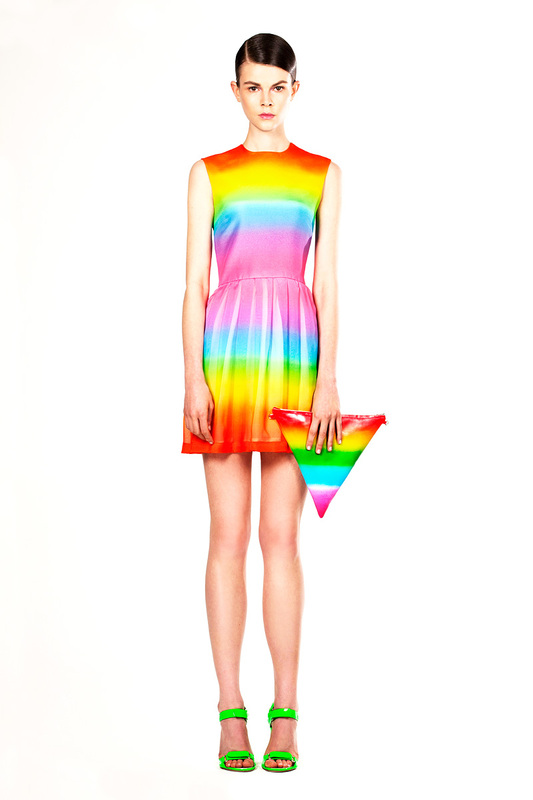 Basically, just the idea of the squares and their positioning:)!! I masked and sponged a punched out 1 1/4 " square(Memento inks: Danube Blue, Bahama Blue,Summer Sky)...added the dotted border (Papertrey Ink Background Basics: Circles)behind and the sentiment(Papertrey Ink Birthday Basics). I thought it looked a little boring, so I added a 1" circle cut out and, like the squares, used a black marker to draw around the shape...to add a little interest. Never having made a card with banners before, just thought I'd share a couple pics of how I easily made my banner in case you'd like to try your hand at it! Then fold and cut along the back side of banner, making it a banner that hangs over the string/floss. I then put a glue dot on the bottom inside of the banner, making it easy to slide along the floss when attached. I then simply attached the two end triangles to the card with a glue dot on the back of each, and then did the middle ones the same. I kept looking at the cards I made today, and after watching day 7 of the Clean and Simple Card Making classes where WHITE clean and simple cards were the topic of the day...I HAD to redo one of the cards that I did earlier. 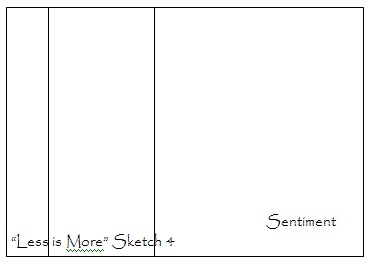 I will show you the sketch, my do over and the original...you decide!! ...ch ch ch ch changes, as David Bowie would say...ok, NOW that I got this all out, I can now retire tonight in peace!! Hope you have a great night!! Happy New Year and a Musical Thank You! !